Purchasing a sports car does not have to be expensive. In fact, there are a few great options for those looking for a full-sized car with the power of a sports car but the interior of a luxury car at affordable prices. The car that stands out the most is the all new and redesigned 2018 Chevy Impala. With a luxury interior and the technology you have grown to love from Chevrolet, the Impala should be top on your list. However, it does have a fierce competitor in the 2018 Nissan Maxima. The Maxima do not hold up to the features and styling of the Impala, even though it tries. The all-new 2018 Chevy Impala is readily available at Ron Westphal and is guaranteed not to disappoint. 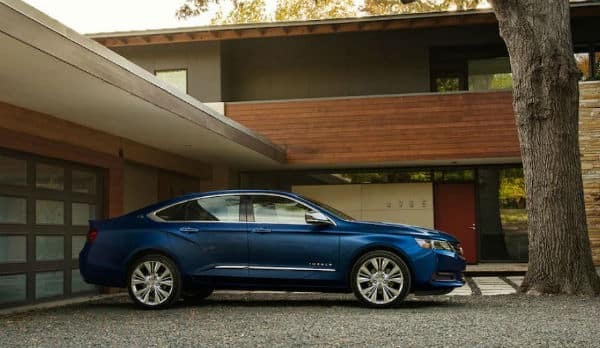 The 2018 Chevy Impala has a pretty impressive engine that comes in two different styles to suit your driving needs. 22 miles per gallon in the city and 30 miles per gallon on the highway. These specs are hard to compete with and with these two great engine choices you will want to go on that road trip you have been dreaming for. On the other side of things, the 2018 Nissan Maxima only has one engine to choose from, so it does not allow any kind of room to play with the specs of your car. The VQ V6 has a dynamic step shifting system and a paddle shift gearbox. For the most part, the engine is unnecessary for daily use and will most likely disappoint if it is mainly used around the city instead of hitting the open road like it is designed for. The 2018 Maxima also does not perform better than 2018 Chevy Impala when it comes to gas mileage due to its solo engine. The 2018 Nissan Maxima has an average of 21 miles per gallon in the city, and it does about 30 miles per gallon on the highway. Also, it only averages about 300 horsepower whereas the Impala can have a maximum horsepower of 305. The driving performance is miles ahead with the 2018 Chevy Impala. 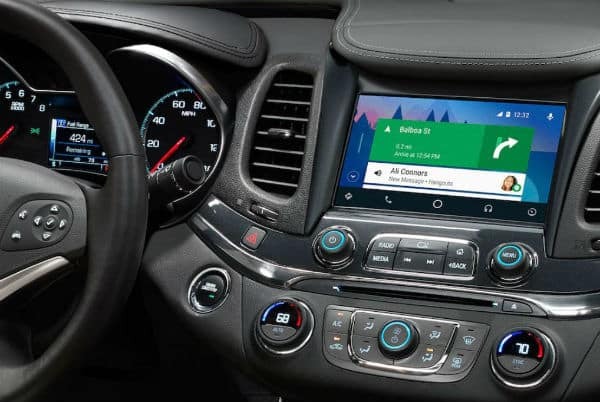 With all these beautiful interior features and top of the line, technology, it is hard not to choose the 2018 Chevy Impala for your next luxury or sport car needs. The 2018 Nissan Maxima falls short of a beautiful interior. Even with an available cashmere premium leather feature for the interior, it still looks poorly made and designed. 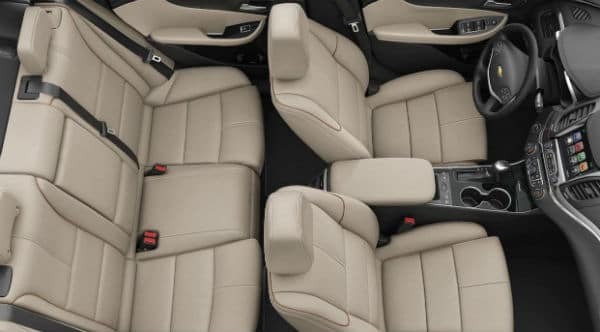 Nissan is made to seat five, but in fact, there is less room than the 2018 Chevy Impala. These are only just a few of the great safety technologies that are available from Chevrolet to keep you and your passengers safe if you are in the city or on the open road. Starting at $27,895 MRSP, the all-new 2018 Chevy Impala is a better value than the 2018 Nissan Maxima which starts at $33,270 MRSP. 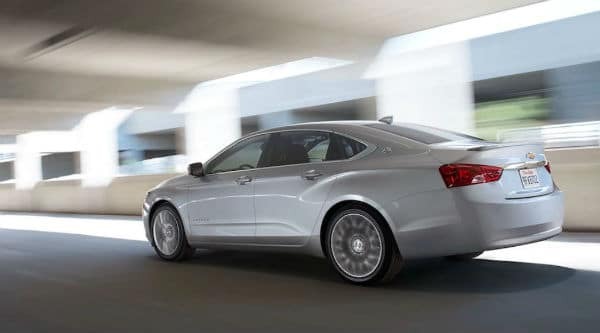 The Impala not only has a more attractive price, but it also has more affordable options that you can choose from. It may seem like the Nissan is a better due to its more sporty engine and upscale exterior. However, the Chevy Impala is part of a well-trusted brand and is just an all around better car, no matter what you are using it for. At Ron Westphal Chevy, financing is made easy and accessible when you need it the most. From their easy to use online tools and impeccable financial staff, no matter your credit or financial need, they offer something for everyone. Westphal Chevy also offers some great specials that are frequently updated on their website and are available at the dealership. If you miss out on one special that you had your eye on, there is bound to be another that suits your needs. 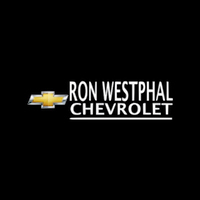 If you live in North Aurora, IL or surrounding area, you should stop by Ron Westphal Chevy for all your car, truck and SUV needs. With easy access and great staff, you will never want to visit another dealership or shop for another brand. Ron Westphal Chevy not only has top of the line staff in all departments to help you, but they also have a fabulous website that keeps you up to date with all the specials they offer. It is guaranteed that you will not walk (or drive) away disappointed from Ron Westphal Chevy. Drop in today and let them help you find the car, truck or SUV you have been looking for.